Upgrade in progress. Please try again shortly! Get ObaWorld for your school! 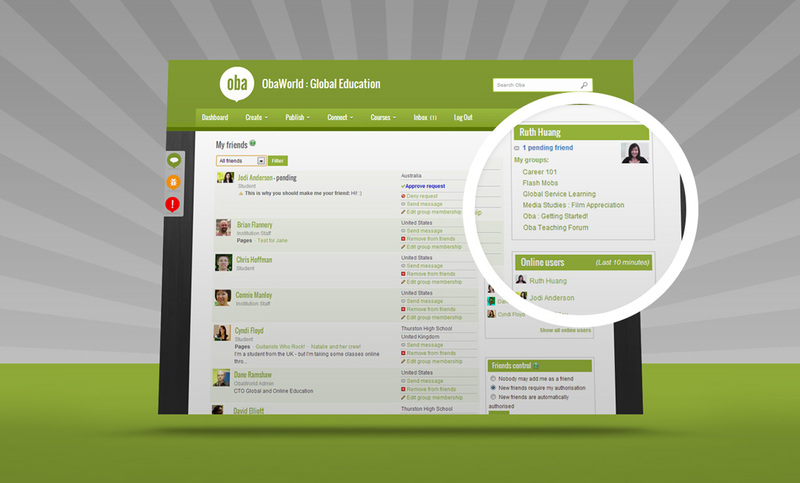 Connect your school with learners and educators across the globe & engage in learning beyond the classroom walls! Showcase student work to demonstrate learning, progress, reflection, and personal growth! Support 21st century learning through content-driven collaboration and problem solving! A dynamic, online learning platform that values student-centered learning, creativity, and the entrepreneurial spirit! Design, manage, and offer courses for students in your institution or worldwide! Integrate Web 2.0 mashups and tools into your classroom with just two clicks! Share and exchange best practise with peers and professionals! Reliable, efficient, and ready whenever you are. Access your work wherever, whenever! 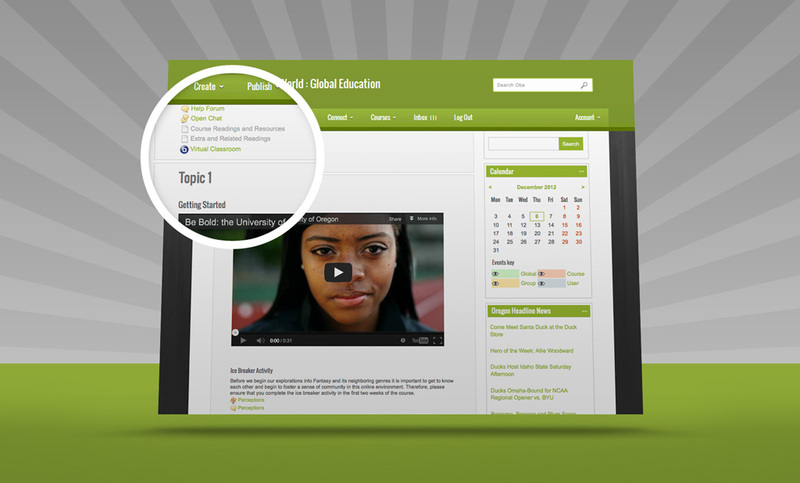 Looking for a powerful and easy-to-use eLearning tool? 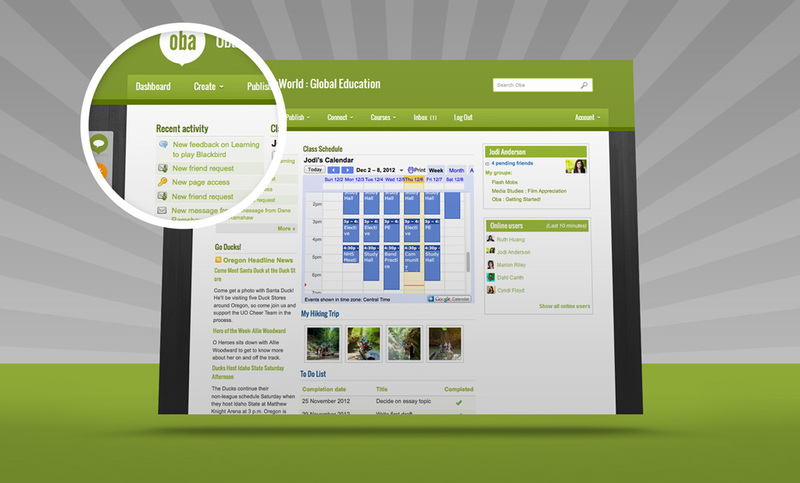 ObaWorld offers a comprehensive set of features to better serve you, your students, and your school. Reward systems with points, badges, etc. 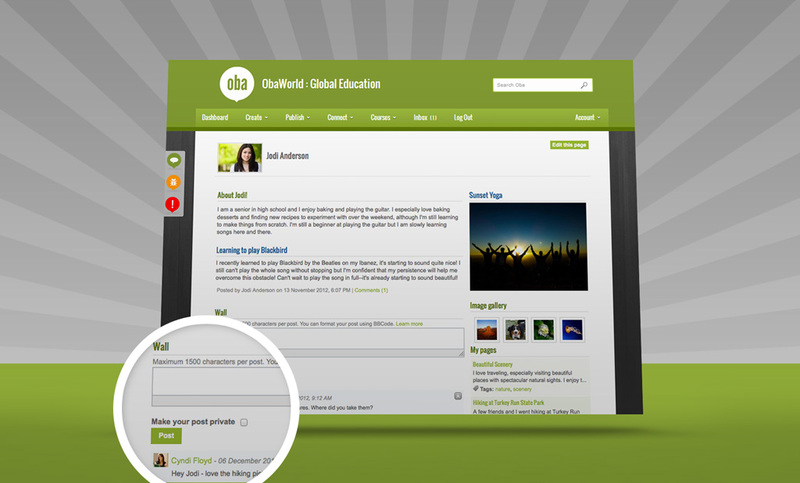 Click on any screenshot to take a peek inside and see ObaWorld's features in action! Fill out your details below and an ObaWorld representative will be in touch! More than a solution, it’s a transformation. We believe in cultivating a student-centered learning environment and developing responsible global citizens. We have designed ObaWorld to serve K12 institutions and meet their needs, including online course management, social networking, portfolio management, virtual classroom meeting spaces, and more! ObaWorld is a secure, social platform in the cloud for innovation, collaboration, and learning. 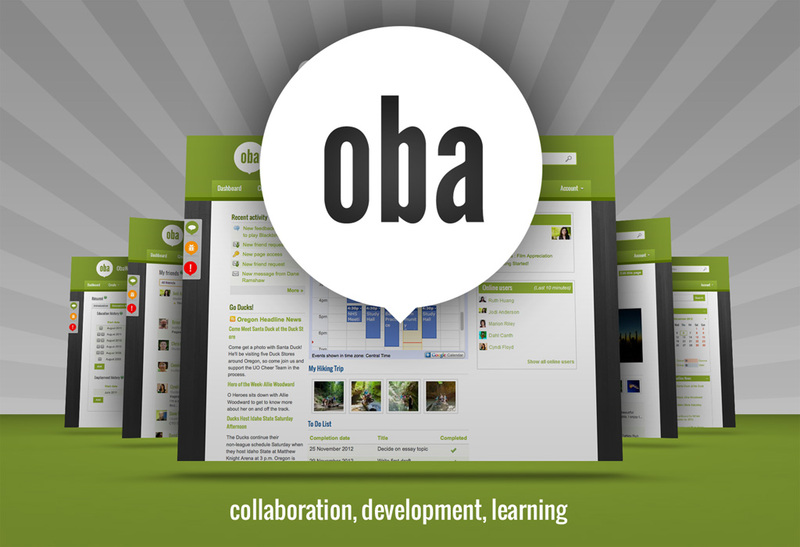 ObaWorld is an initiative of the College of Education at the University of Oregon. We are a non-profit organization.